Through examples of some of the world's most valued companies, the author illustrates how business leaders can achieve the brand-culture alignment. The most successful salespeople in the luxury business are those who live or, at least, dress, talk and behave like their clients. That is the received wisdom and is at least partially true. The same principle applies to a lot of other products and services. But does the internal culture of an organisation - and not just the sales function - have to align completely with the brand values? Denise Lee Yohn, brand building expert and consultant, certainly thinks so. 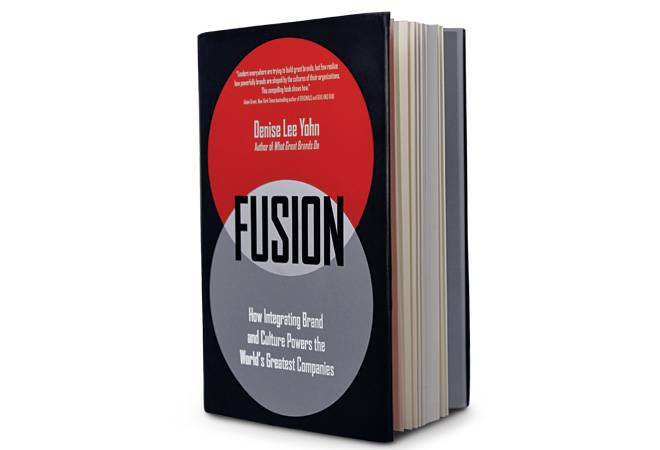 In her latest book Fusion: How Integrating Brand and Culture Powers the World's Best Companies, she builds a convincing argument using examples of Amazon, Google, Starbucks and Southwest Airlines, among others. It is not an absolutely original idea. Brand and management experts have, from time to time, talked about the importance of aligning employees with brand values. Research, mostly of prominent western brands, has also endorsed the theory. Besides, there are hundreds of volumes that talk of aligning strategy with brand values and others that focus on the importance of culture. Fusion stands out because it is a study of several dozen companies and offers step by step advice on implementation. The first part of the book focuses on the basics of the brand-culture fusion (and, equally importantly, in building a convincing case on why the fusion is necessary to begin with and why some of the world's most successful companies do so). The second part is more nuts and bolts - the strategies to achieve that fusion gradually and effectively. Yohn draws not only upon her own experiences, but also on the works of other researchers, authors and consultants on culture and brands to establish why defining a purpose clearly, figuring out the culture you need, of having a vision that is grand as well as unique, and avoiding cliches is important. She gives glimpses of how some leaders have managed to achieve this fusion perfectly. However, like many other management books, Fusion has limitations. For one, most of the examples are from the developed world; there is little research on successful brand and culture alignment from the developing world. Equally, there is an inability to recognise that a successful company's culture looks very different at the management level and worker level. While no one can deny that Amazon, Facebook and the other companies Yohn mentions in the book are all superbly successful, they also have a dark side, and their entire culture may not be perfectly aligned with their purpose. In some cases, their shameful treatment of workers is glossed over. This is not to detract from the central thesis and value of the book, which is actually extremely useful, especially for companies that have lost their way over the years or are struggling to understand their raison detre in a fast changing world. It contains practical advice that everyone can use to make their company better.